A box of pasta can lead to loads of fun. 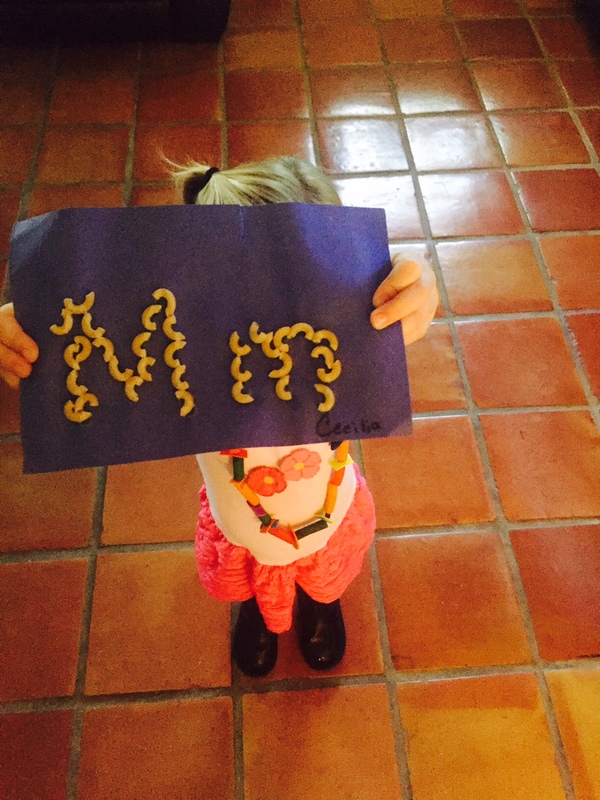 Dried pasta is a versatile material that teachers and parents rely on to create art, practice math, phonics skills and more. Pasta is a relatively affordable product with so many “styles” available. Within the grocery store aisles you will find spaghetti, bowtie, penne, lasagna and others. Venture to specialty markets or even discount department stores and you can find cartoon characters, seasonal objects and more. Regardless the pasta shape, there are many ways to have fun, and sneak in some learning, with a box of dried pasta. The activities listed below can be enhanced with colored pasta. To color pasta, I recommend pouring pasta into a plastic sealable bag. Add 20 drops of desired food coloring and 2 tablespoons of vinegar to the bag. Seal bag and move it around. Open bag and pour pasta onto a cookie sheet. Place in a warm spot (sun) and allow the pasta to completely dry. After your pasta is colored and completely dry, it is time to get crafting and learning. Here are three activities that are great to do with the kids. 1. Letter Writing: On a heavy paper (cardstock or construction) trace out the letters or word. Trace the penciling with glue. Using pasta of an appropriate size – we used elbows, have the child glue the pasta along the tracing. 2. 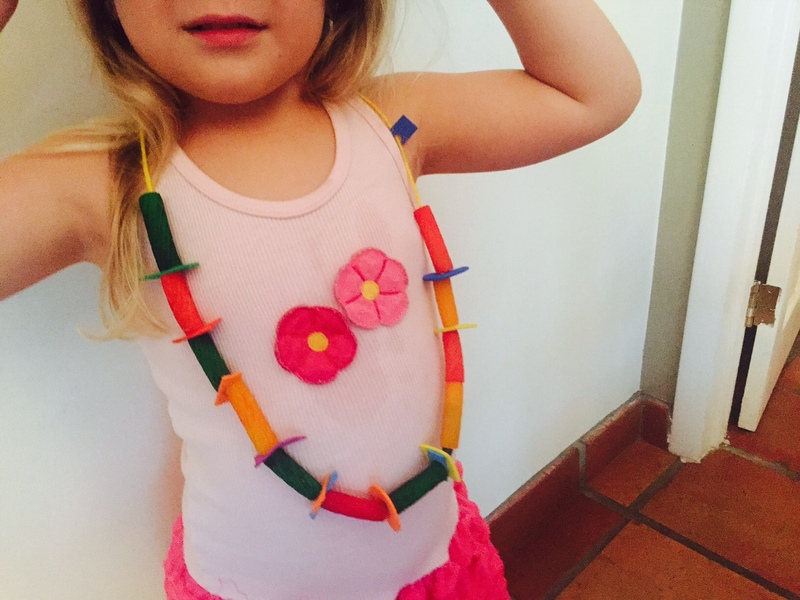 Necklace Patterns – This works best with colored dried pasta. You will need tubular pasta, too. Using yarn have the child thread the pasta in the yarn. Rather than haphazard pasta order, be sure they create a pattern. Make the pattern more advanced as needed. For example: red elbow, yellow elbow, green penne, red elbow, and so on. 3. Estimate & Sort – I used to do estimating jars often when I was an elementary school teacher. It was an excellent activity to get the kids to better understand quantity. Doing so with pasta is equally as fun and educational. You can differentiate this activity by having different pasta styles in the jar. After a few days of having the kids try to estimate how many pasta pieces are in the jar, pour out the pasta and begin the count. The counting can be done using math skills. Have the child group them by tens, by styles, by color, etc. Head to the stores or simply look in your pantry for this very common food item. With some glue, yarn, paper and even food coloring if you want to jazz it up, you are ready to have some fun with your kids!